The University of California, San Diego broke ground Thursday on a project to transform the existing baseball field into a state-of-the-art facility. Highlights of Triton Ballpark will include sunken team dugouts, a press box, an area for food trucks, permanent spectator seating and restroom facilities. The ballpark will also feature the Marye Anne Fox Clubhouse, named in honor of UC San Diego’s seventh chancellor. During her tenure as chancellor from 2004 to 2012, Marye Anne Fox was an advocate for athletics and championed updates to the baseball field. 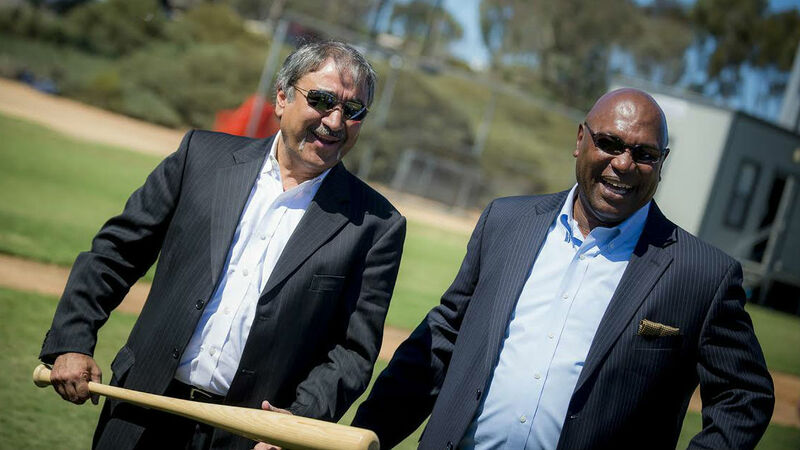 Triton Ballpark is made possible with the support of donors including Bill Scripps, Gary Jacobs, John Moores, Malin Burnham and Richard Atkinson, UC San Diego’s fifth chancellor. The project is expected to be completed in the spring of 2015, in time for the beginning of baseball season.